Oh, hi! It’s been a while. As always, I’m busy with my office work lately. I found a spare time on weekends, and this one will be one of me being productive in this fandom. Before I put the lyrics and translation, let me write down my thoughts for this song. The more I listened to the music, I couldn’t stop grinning. Once I finished listening to the song, I’ve already decided that this is the best coupling song of 19th!…so far. I’m waiting for Ikuchan and Kuboshi’s musical song and then I’ll re-decide it. So here comes the lyrics! “You’re always saying it, right? Even we like the same boyfriend, right? 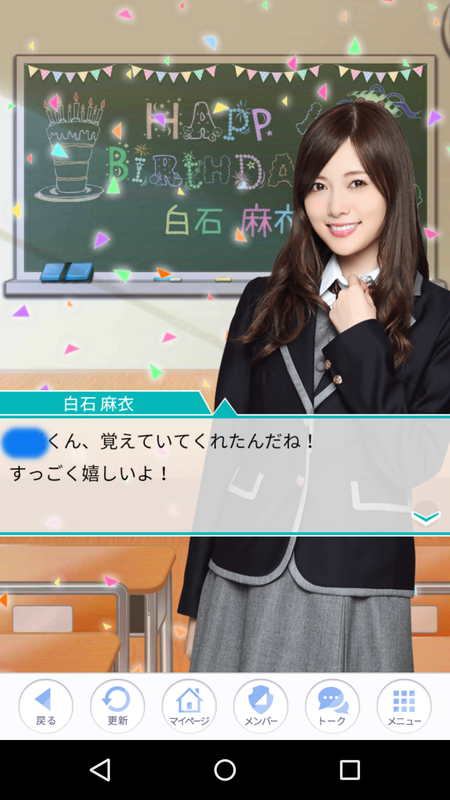 (Maiyan) Watashi ga saki desho? (Manattan) Watashi ga saki desho? 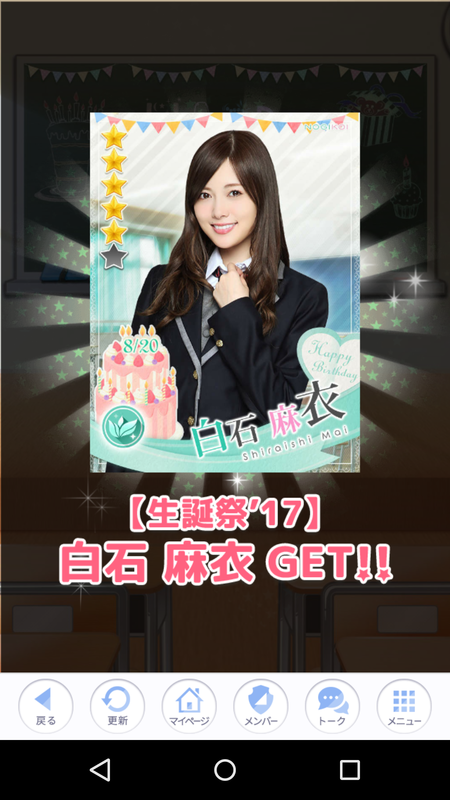 (Maiyan) I was the first one, right? (Manattan) I was the first one, right? Dareka no shoukai kirai datta yo ne? But you said you hate to get introduced to someone, am I right? As if we’d say that! I’ll continue checking my partner’s translation of “Sayonara no Imi” fanfic and then translate my parts. I started wrinting this at 8:41 PM (GMT+7)… I’m not sure if I can make it before 10 PM… But let me give it a try. It’s just a few hours before the day changes in Japan. So I’ll try to write it quick. Lately, I promised something with Ikuchan. to take a photo together in a photo booth. …what? But she said that she took some photos in photo booth few times so we promised to take one together! And we will also go for shopping! Hmmm, Mrs. Prezdirector, I’m really looking forward to this~! Finally, I took a photo with Ikuchan in a photo booth!!! Our high spirits were above normal. I’ll write the details next time! I’m sure you all already knew if you read Ikuchan’s blog. 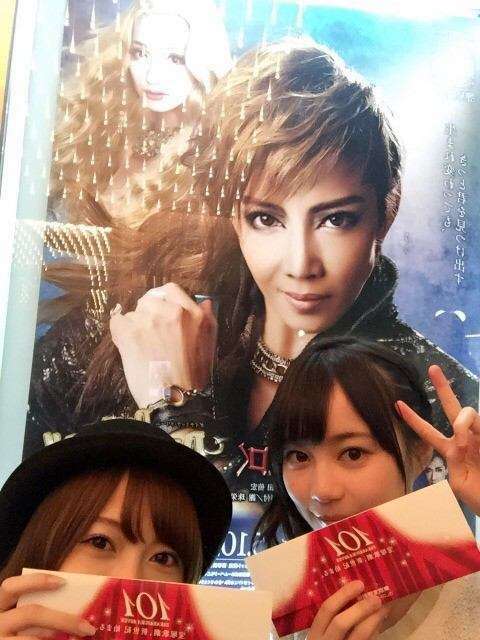 For the first time, we went to watch Takarazuka~~~!! I was absorbed to the world of Takarazuka for a moment! I can’t put into the words how fascinating it was! THE LAST PICT ALSJHGRUH NOW KISS!!! 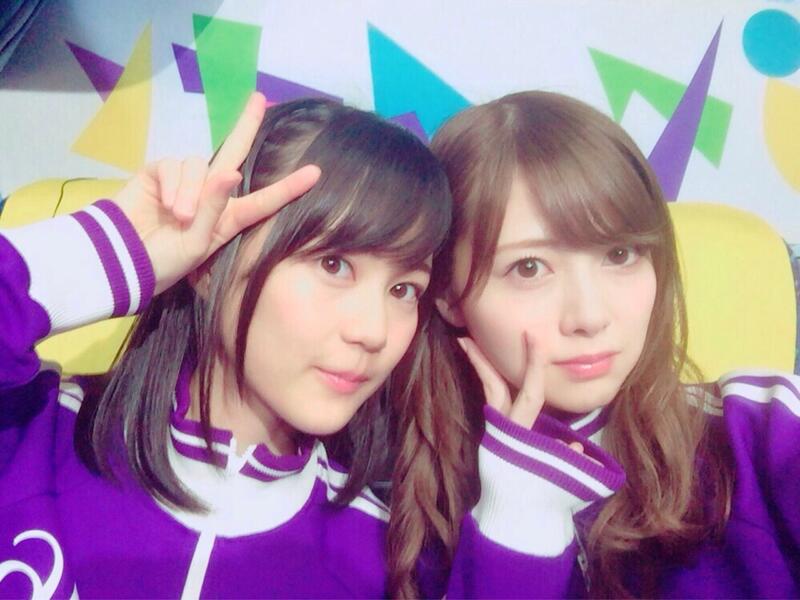 They’re also posted on Ikuchan’s blog, here are some photos of us doing a model-like poses. Few days ago in a live broadcast of Shibuya no Oto, the scene where I leaned my head on Ikuta-san’s shoulder and she patted my head got broadcasted. I’m so happy for that and we always being playful each other. I was a little hesitated in translating the word じゃれあう (jareau). It’s from じゃれる (jareru) which has these meanings. I REALLY WANT TO USE THE 2ND MEANING BUT IT WOULD BE A LITTLE TOO MUCH!!! I’ve got some information from a Japanese forum regarding this topic. But I can’t find the scanlation and the exact source. I’ll translate it nevertheless. Here we go. Reporter: How do you feel being called a ‘Goddess’ by so many people? 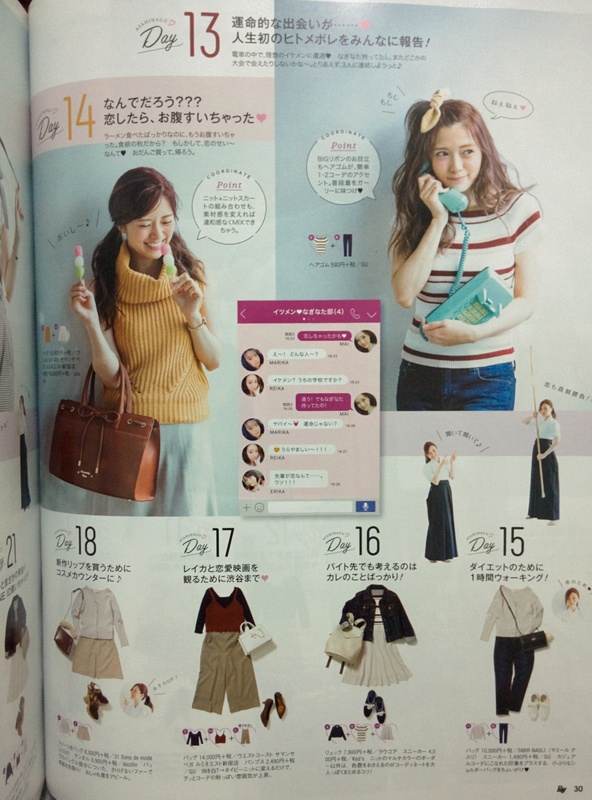 Maiyan: Indeed fans are calling me like that. But a ‘Goddess’ to me is always be Ikuchan (Ikuta Erika). She is like an adorable little sister to me. And I like her since then! Wow!! I really want to read the actual article! ―You two have different ages but are first generation in the group. 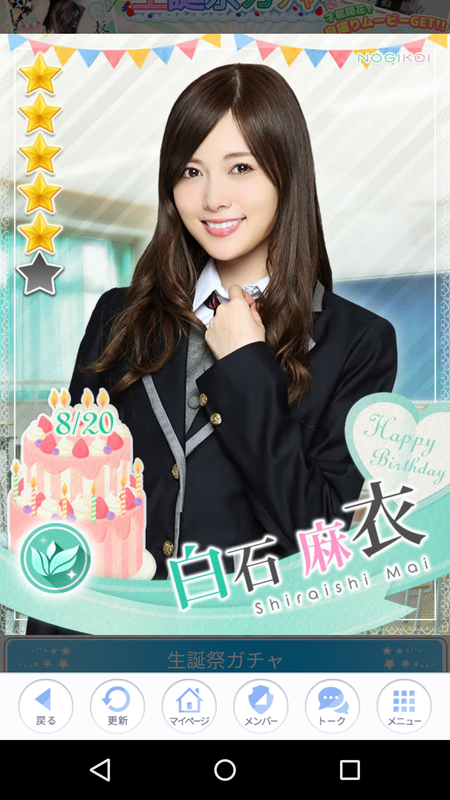 Also, Shiraishi-san’s oshimen is Ikuta-san. First of all, can you tell us you two’s relation? 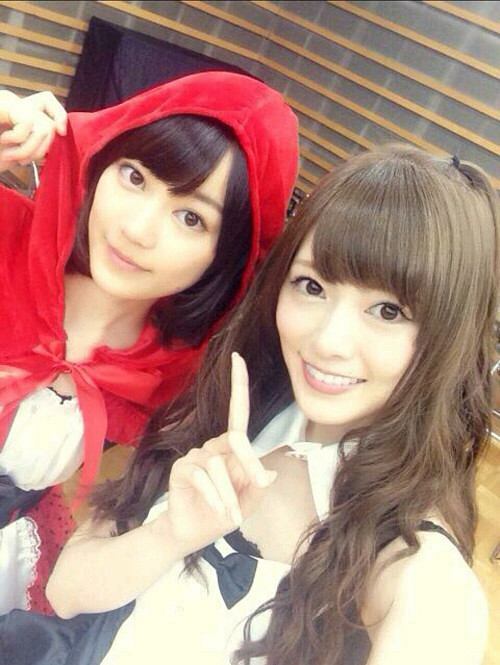 Maiyan: Ikuchan is like a cute little sister to me. We usually play together. 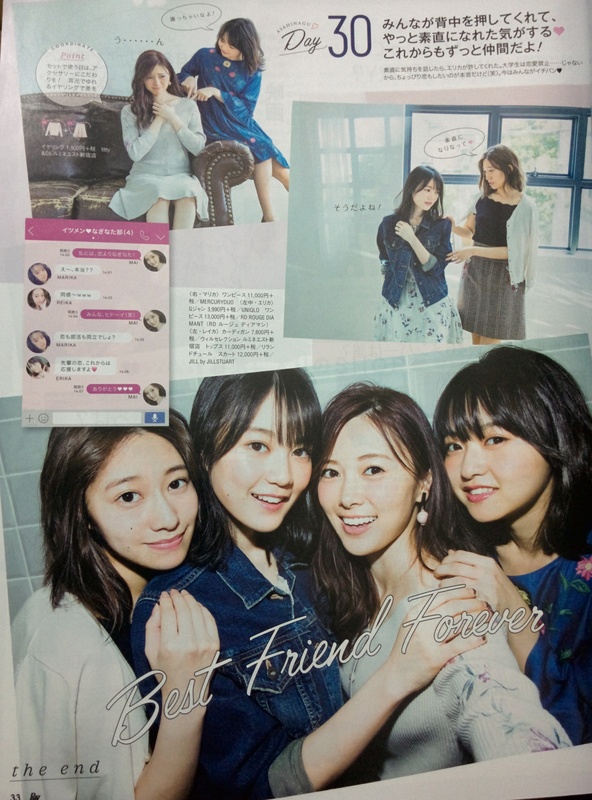 Ikuchan: Maiyan is like an elder sister but she is more than that to me. That’s why I don’t have to worry for being all clingy to her. 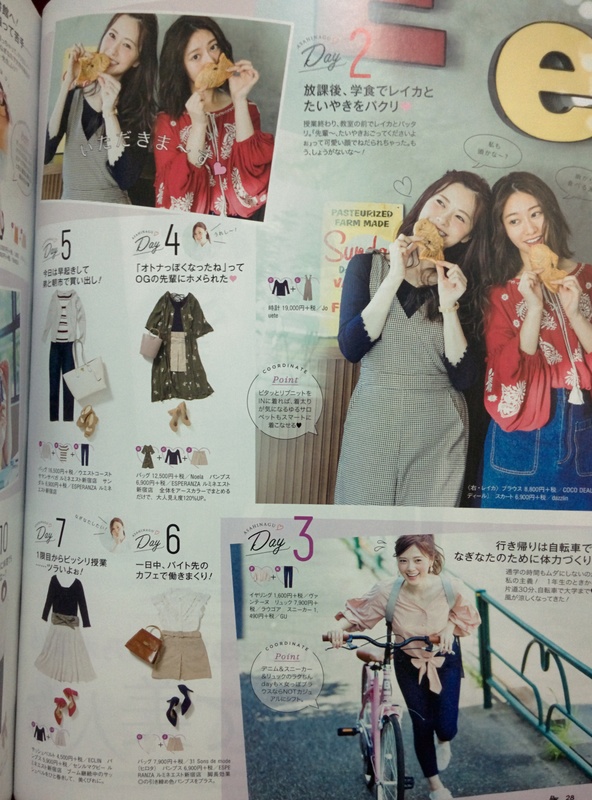 Maiyan: Being clingy is one of cute sides of you! You have an open attitude, and our wavelengths are matched. Just for being together, it’s a pure fun to me. YOU TWO, GO GET A ROOM!!! 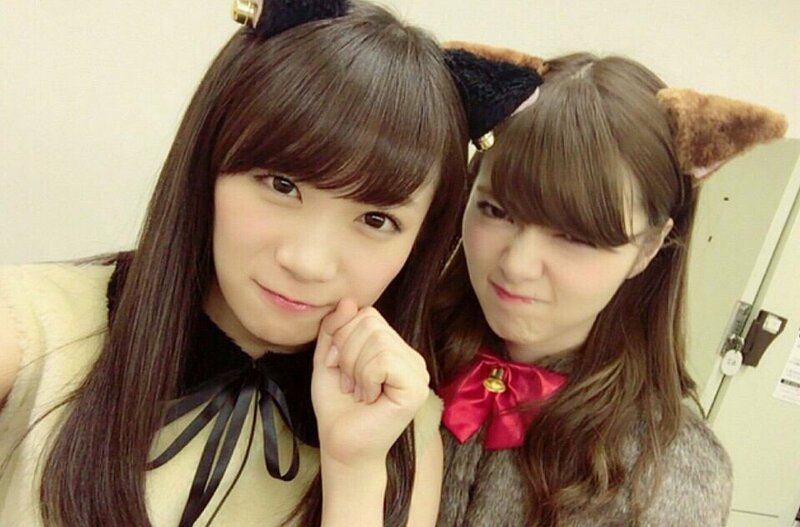 With that being said, she immediately follow Ikuchan’s 755. Well, so far, that’s all I could present to you. I still have about 2 more topics for this project. I’ll post it soon. Himetan: This woman is absurd! It wasn’t a literal translation. But I thought ‘absurd’ is the nearest word to ‘yabai‘ in that context. 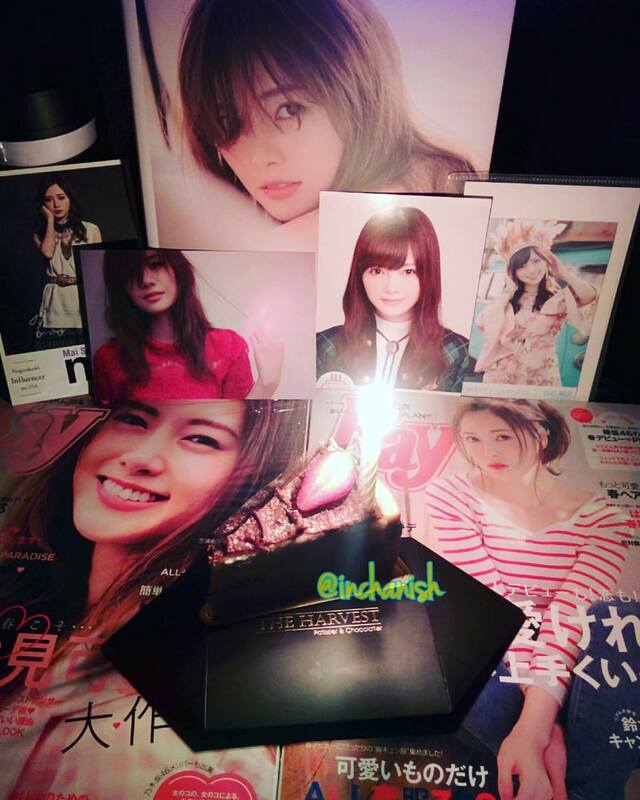 And Maiyan is one of members who complies Ikuchan absurdities. Besides, Maiyan also has similar quirks after all. In Nogibingo!4’s Nogiroom episode 1, Maiyan talked about a behind the scene story of Oto ga Denai Guitar MV filming. 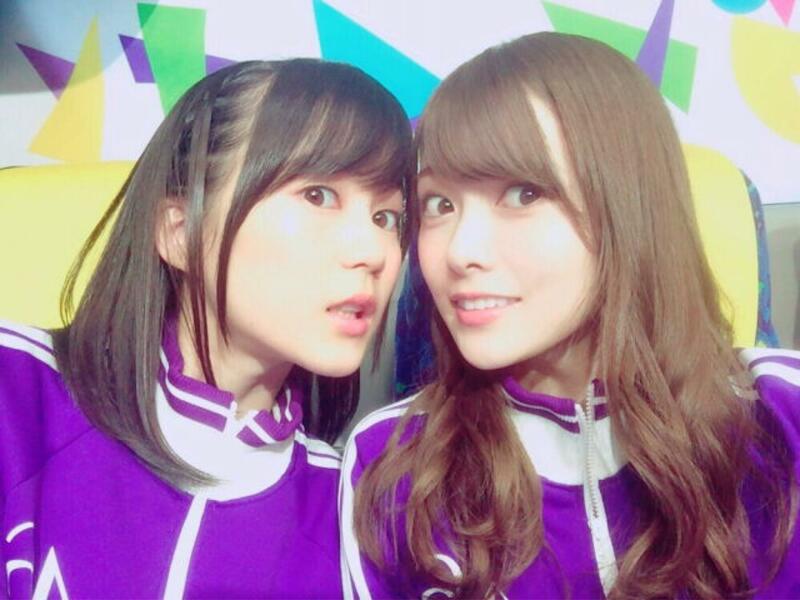 Before the filming started, Ikuchan wanted to fill in Maiyan’s eyebrow for one side. Since they still had some time to spare, Maiyan let her do it. But the result was disappointing =)) Well, what were you hoping from a kid with weird art senses? This photo I took is inspired by the photo in Ikuchan’s blog post. When we are done with the handshake event, I took a photo with my lovely oshimen; Ikuchan in a weird faces. She said, “I’ll take a cab so lend me some money!”. At first, I gave her 5,000 yen but then she said “Not enough” so I gave her 2,000 yen in addition. Next two blog posts are a sequel. Here we go. 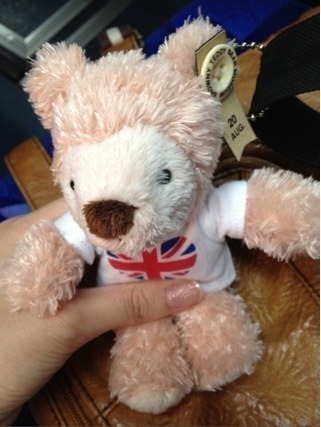 120719 “I’ll be always Watching Over You”(o^_^o)by ??? The title of this blog is the words being told to me by a member yesterday. Now, here’s the question for everyone! Who was the one said “I’ll be always watching over you”? Most of you answered Yuttan, but you all wrong! 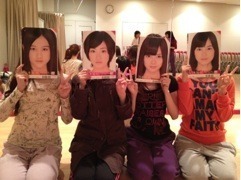 It seems those who answered Ikuchan are the least. Congrats to those who got the right answer! Bravo! 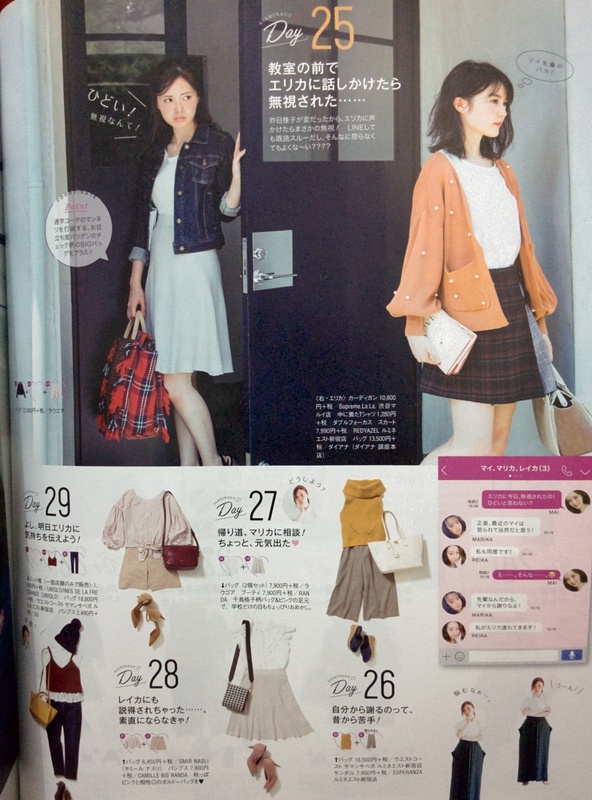 IKUCHAN! YOU SERIOUSLY JUST STOOD THERE AND WATCHED HER CHANGING???? 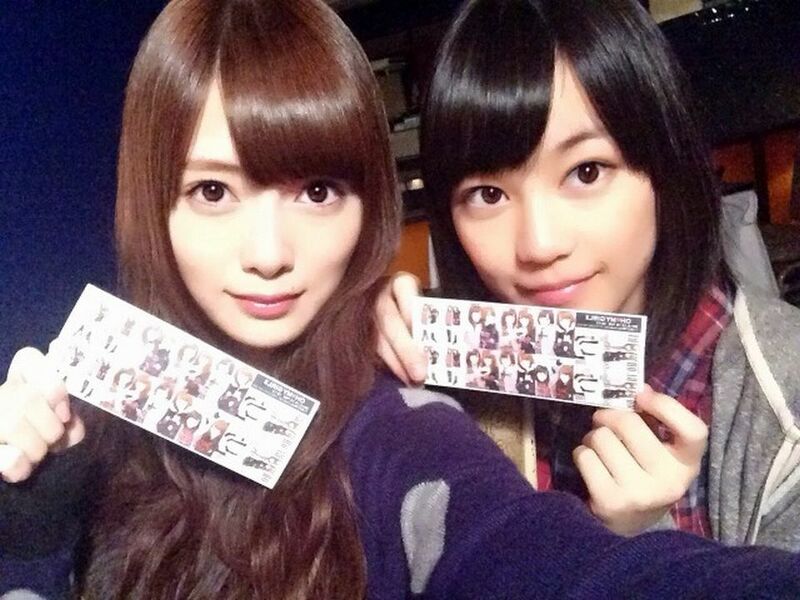 Yes, you can have her, Maiyan. But promise me to be always with her all time! What do you think the name is? It has England flag on its chest but Monsieur. Sorry to keep bringing Ikuchan in my post. I have a lot of Namata-shachou (President Director) stories so I will write another one soon! 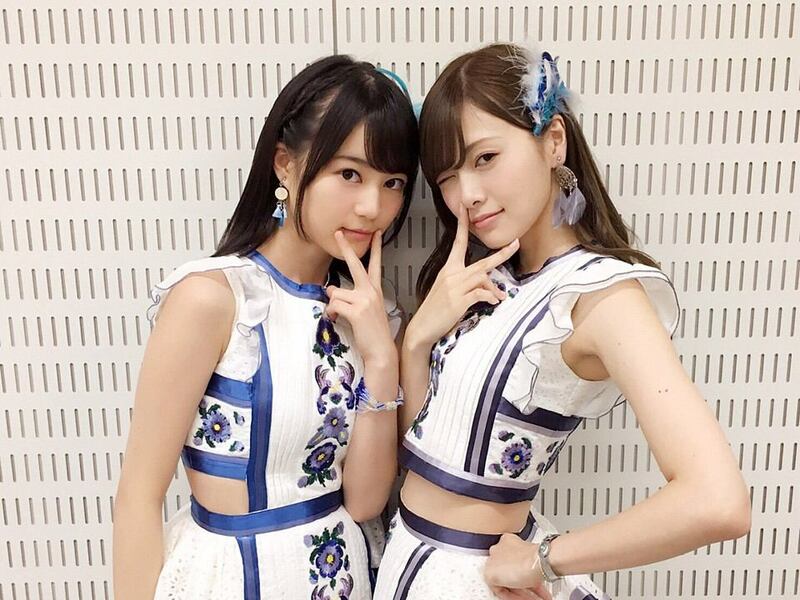 Did someone already work on subbing AKB48 no Watashitachi no Monogatari – Nogizaka46 special ? If not, let me put it on my project list. Can you guess who these four are? The one on the top is having a stiff body! Bravo to those who guessed right! Perfect!! 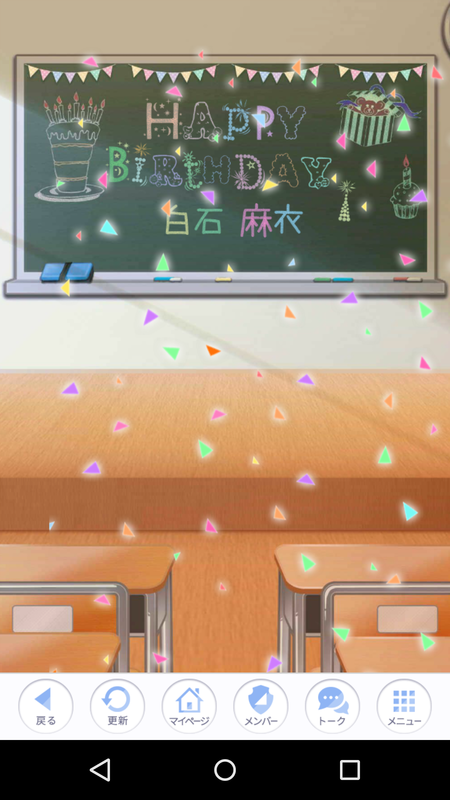 I’ll give you 100 points as present(〃▽〃)what? Oh, I could hear you demanding for the right answer. Okay, here we go! As expected from you all! We are photosynthesizing with the light from above. We are always like this whenever we play together(〃▽〃)it’s so fuu~n!